Alternative Eden Exotic Garden: Merry Christmas Everyone! Merry Christmas everyone, hope you all have a lovely day however you are spending it. 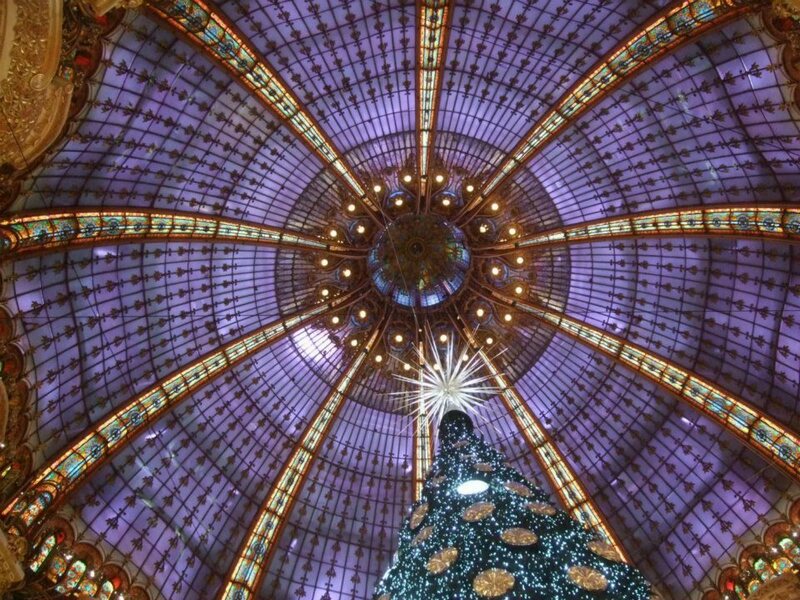 These photos were taken at La Galeries Lafayette on our recent trip to Paris. Happy Holiday and successful New Year ! Dear Mark and Gaz, I am wishing you two a very Merry Christmas, too! Hope you have a wonderful day filled with joy, peace, and happiness! Oh, and of course with good food as well ;-)! I wish you the most wonderful Christmas ever and a prosperous new year. Will you be spending time with your family? P.S. LOVE the images from Paris. That stained glass dome is amazing! Wow! What a Christmas tree! Yes, a very Merry Christmas Mark and Gaz! Thanks for a fun year of garden blogging from one tropical gardener to another. Here's to many more tropical adventures. Merry Christmas to both of you and your families. Wow! that's a very unique christmas tree. 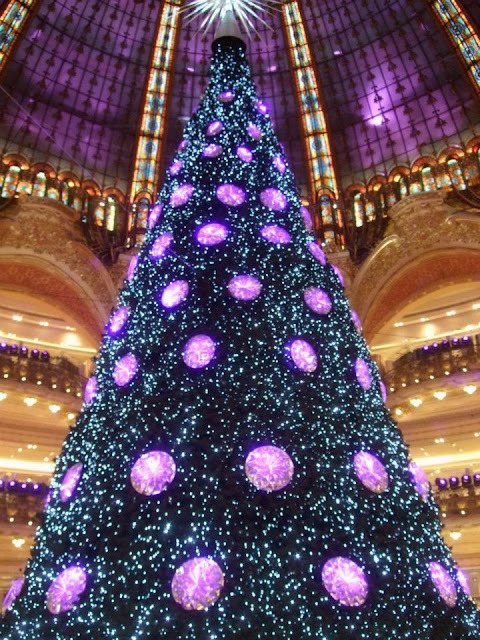 What a fab Christmas tree. Merry Christmas Mark & Gaz! Merry Christmas to the both of you, and all the best for 2013. Seasons Greetings Mark & Gaz. Thanks for your support. WOW! What a tree! Happy holidays! How very French! I'm a little late to wish you Merry Christmas, but that means I can get the jump on Happy New Year! Thanks for all your Messages everyone. We hope you had a fantastic Christmas and New Year.